I can’t participate in Taylor’s cupcake challenge this weekend due to having to work. 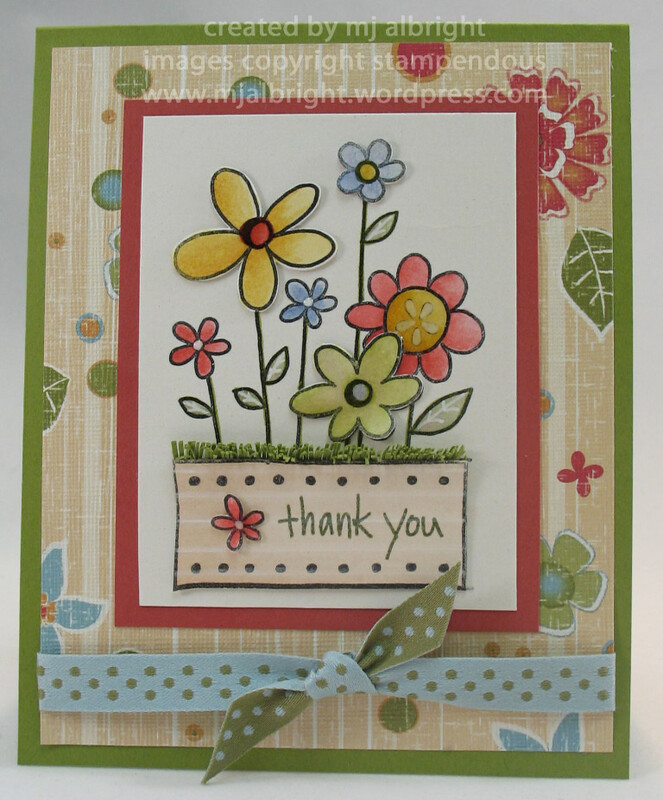 I thought I would share with you the RAK she sent me & my thank-you card that I made with my winning stamp set from her. Here is an upclose view to show the fine snipped cs to form a little grass border, some flowers are cut and pop out a little, and there’s Crystal Effects to the middle of all the flowers. Make sure you head on over and check out her cupcake challenge this weekend. Her sample card is so yummy! Have a wonderful weekend. CARDSTOCK: Ruby Red, Old Olive, Shimmery White, Daisy Bucket Designs Summer Cottage secret garden patterned paper. INKS: Stazon Jet Black, Ruby Red, Old Olive, Brocade Blue, Always Artichocke, More Mustard, White Gel-Pen. ACCESSORIES: May Arts Ribbon, Crystal Effects, Mini Glue Dots. 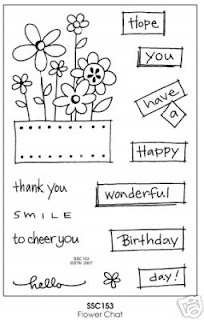 Super cute thank you card!! How darling!! You two are such pros! TFS! 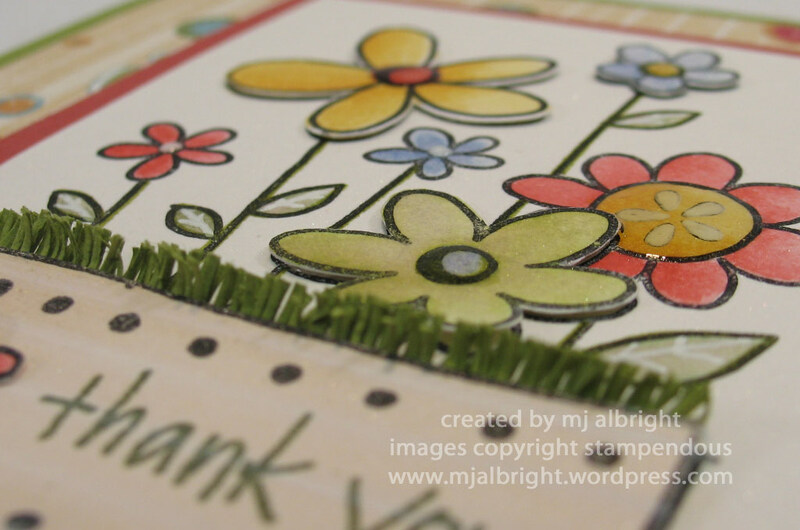 Both cards are beautiful Mary Jo, looks like a great stamp set!